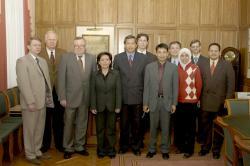 The Volgograd State Medical University hosted the delegation of the Dental Council of Malaysia on March 16, 2007. 311 students from this country are currently studying at our medical school. The Diploma papers of the Faculty for General Medicine of our University are recognized in Malaysia. The goal of this delegation’s visit was the discussion of the recognition for Faculty of Dentistry. 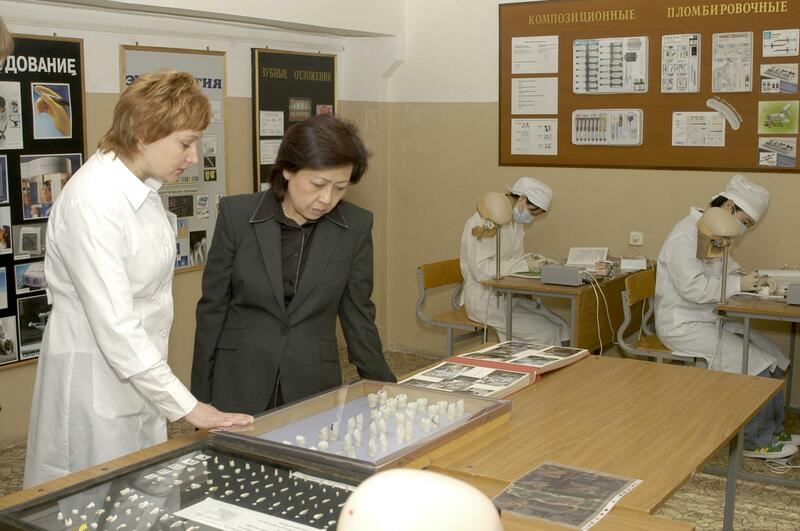 The Faculty for Dentistry is one of the best Dental Faculties of higher medical schools of Russia. Its graduates work successfully not only in Russian clinics but also abroad. Well-equipped training facilities provide our students with obtaining practical skills. Professor Vladimir I. Petrov, Chancellor of our University, told our distinguished guests that since 1962 VolSMU had trained about 3500 medical specialists for 147 countries of the world. Speaking about our graduates, we can name a lot of famous people whom we are proud of. During the years of study young people are forming their inner world, their personality. That’s why much attention is paid to research work and upbringing of intelligent specialists. Our training facilities respond to all up-to-date requirements of the practical medicine. And also we have got an outstanding training staff. The members of the Malaysian delegation got acquainted with the Dental Departments and Dental Facilities which are at the disposal of our University met with the training staff who work there and the Malaysian students who are trained there. Professor Sergey V. Dmitrienko, Head of the Faculty for Dentistry, introduced the today’s life of its Faculty. The guests listened very attentively and seemed to be interested in everything they had seen. The work on the recognition of the Faculty of Dentistry of our University is going on.